If you use your Cricut with Design Space and are purchasing a lot of graphics, it may be a good idea to purchase Cricut Access. 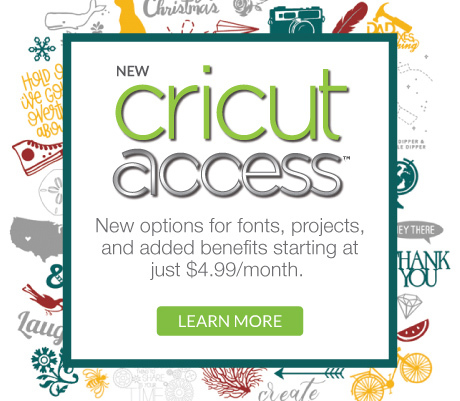 With Cricut Access you get free access to 100s of fonts and thousands of images. You also get a discount on all other orders at Cricut.com, including a 10% discount on licensed images and projects such as from Disney. $9.99 per month billed monthly ($95.99 billed annually). 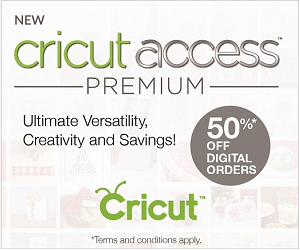 Cricut just created the Cricut Access Premium membership, which in addition to everything available in Cricut Access, gives a 50% discount on licensed images and projects. ($119.88 billed annually).